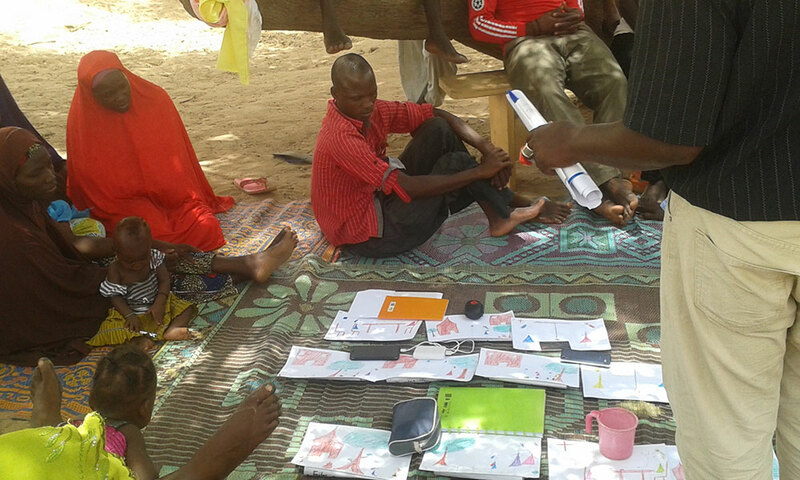 In June 2016, SPRING and Digital Green conducted community video concept testing in two regions in Niger. 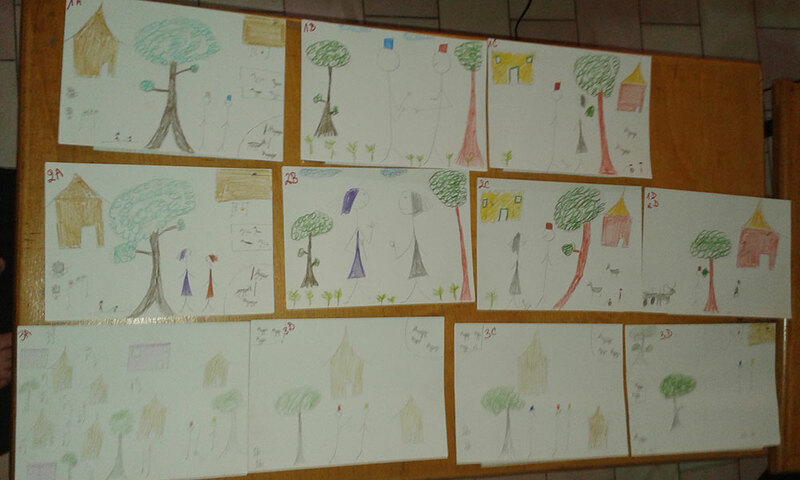 Facilitators used image cards to collect feedback on scenarios for nutrition and hygiene-focused videos from a total of 14 women and 12 men in Droum Kafé and El Kolta villages. The facilitators solicited feedback that reflected the participants’ understanding of the promoted behaviors, their perception of feasibility in their communities, and their suggestions for adjustments to the story lines. 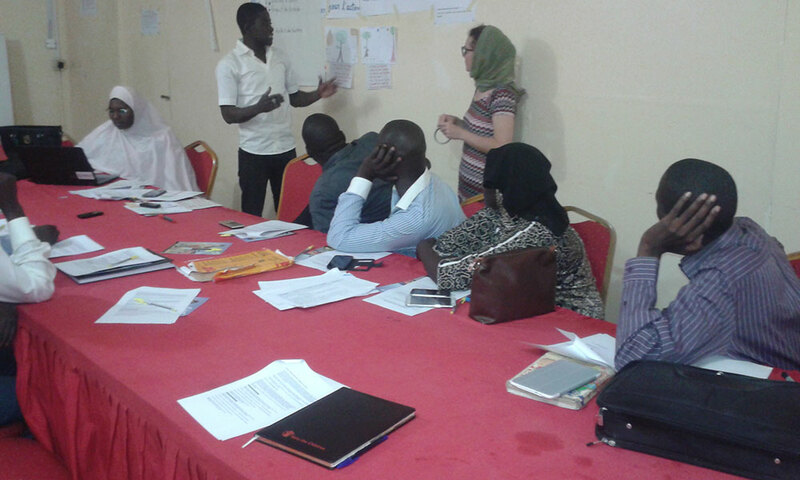 Facilitators prepare for video concept testing in Niger. Prior to working with community members, facilitators develop scenarios that include facts and benefits to encourage uptake of the desired hygiene and nutrition behaviors. 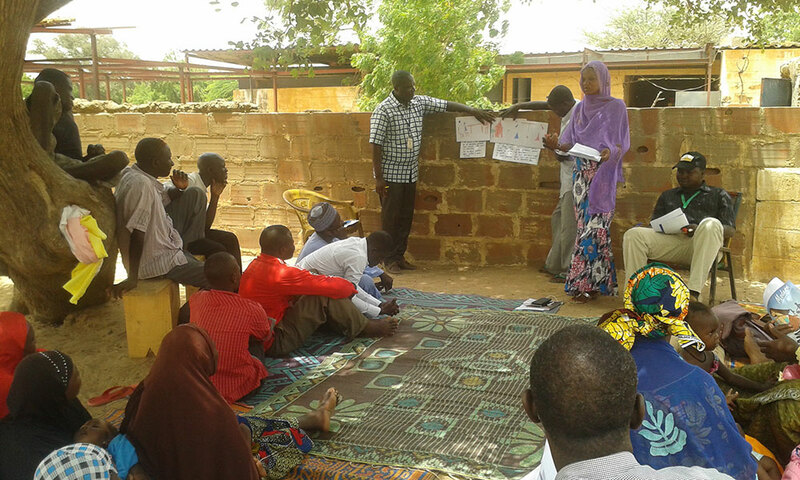 SPRING and Digital Green facilitators explain one video scenario in El Kolta village in the Maradi region. 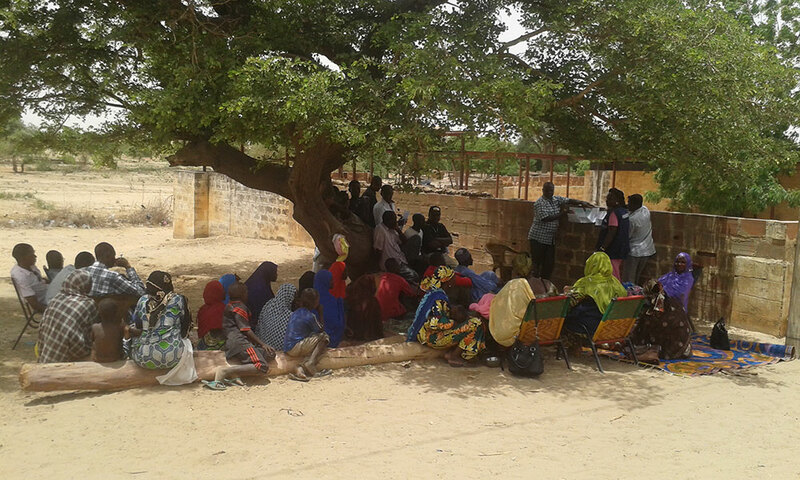 Eight women and six men listen to three video scenarios targeting hygiene and nutrition-related behaviors in El Kolta village in the Maradi region before giving their reactions. The people outside the inner group are being trained in concept testing. 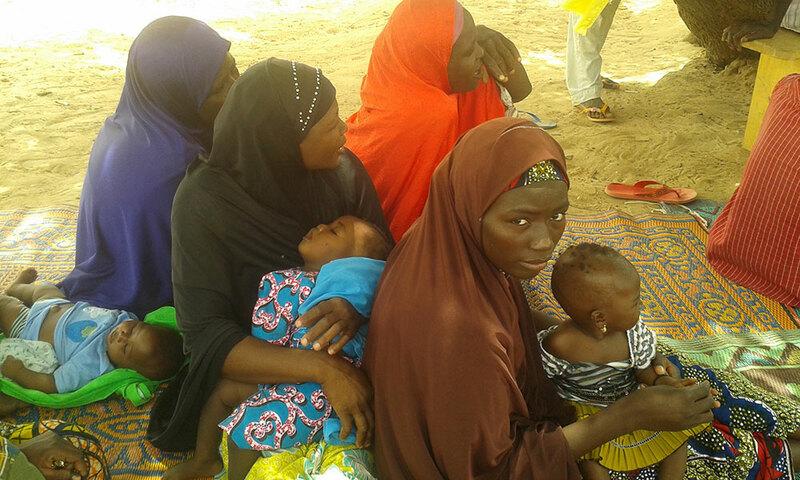 A mother participates in the SPRING/DG concept testing in El Kolta village in the Maradi region. Community input during conception and design increases buy-in and potential for impact of behavior change videos. Community members share feedback, which will allow facilitators to incorporate triggers to action specifically for Maradi and Zinder regions. The final storyboard reflects suggestions and changes from the community. From here, SPRING/DG will incorporate a story line where the “cleaner man” invites the other man to his house to show how environmental hygiene can be done locally. The second man’s children will then have dinner at the first man’s home.